And the folks living in the Town of White Bluff certainly do. So much so, it has become one of the fastest-growing communities in Middle Tennessee, seeing nearly a 50 percent increase since the 2000 census. But with growth comes challenge. Jeff Martin, the Town of White Bluff’s project director and eighth-generation public servant, gathered a committee of locals to identify these needs more than a decade ago. He encouraged community members to create an ultimate wish list for expanding the town’s offerings to their residents. The list was long and seemed somewhat out of reach. Dreams for a new library, community center, auditorium, amphitheater, walking trail, senior center, and educational classrooms were documented. The committee set out to work on how to tackle the list. Through the use of good communication and sharing the process of development with town residents, one by one these dreams are becoming a reality – in large part due to the Bibb Family. And community champions they have been. Richard’s great-grandfather, Richard Baxter Bibb, built the family’s homeplace and farm many years ago. They have been serving the public ever since. 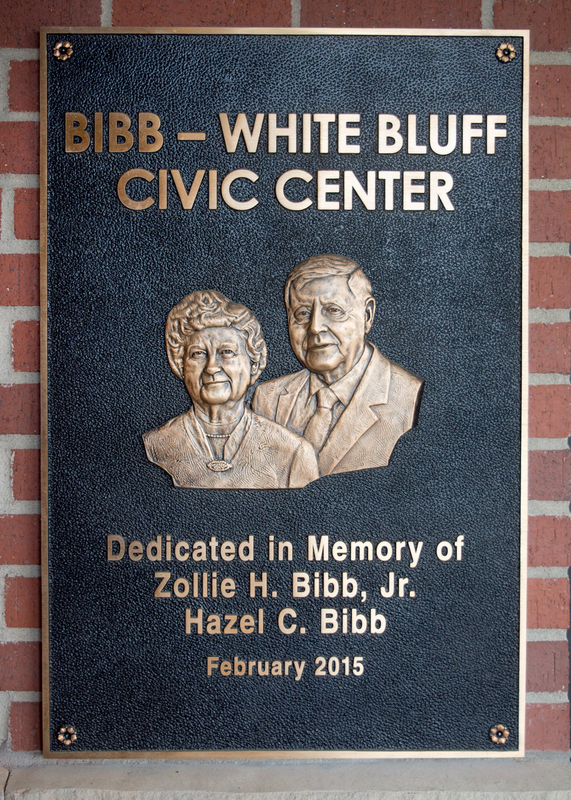 His father, Zollie H. Bibb, Jr., established the White Bluff Volunteer Fire Department and was its first fire chief. He brought public water to town, served as magistrate, and helped organize the White Bluff Industrial Board … all on a volunteer basis. Hazel Clark Bibb, Richard’s mother, was a founding member of the White Bluff Garden Club and arranged the flowers for the White Bluff Church of Christ’s weekly services, while his grandfather, Zollie H. Bibb, was a community leader as well. With this lineage, it should come as no surprise that Richard has carried on the tradition of aiding in the town’s growth. While the Bibbs supported the establishment of the Dickson County Health-White Bluff Clinic, refurbished a 1960s-era community center, and converted the old town hall into its first library, additional gifts of land and funds from the family have made it possible for Jeff Martin and his committee, including Mayor Linda Hayes, to move forward on building a state-of-the-art community and education facility. A recent visit included a tour of the Bibb-White Bluff Civic Center, which has now checked many of the town’s “wish list” boxes. The facility is busy on a daily basis – Austin Peay State University partners with Dickson County Senior High and Creekwood Senior High to offer a dual-enrollment program. It helps high school students graduate with an associate’s degree and provides them with the chance to receive a bachelor’s degree in just two years following high school. The Civic Center also hosts monthly Bluff House concerts, nonprofit programming, weddings, and senior activities. The building boasts the brand-new Jennie Woodward Library, equipped with computers from funding provided by The Community Foundation, and the Van F. Mills, M.D. 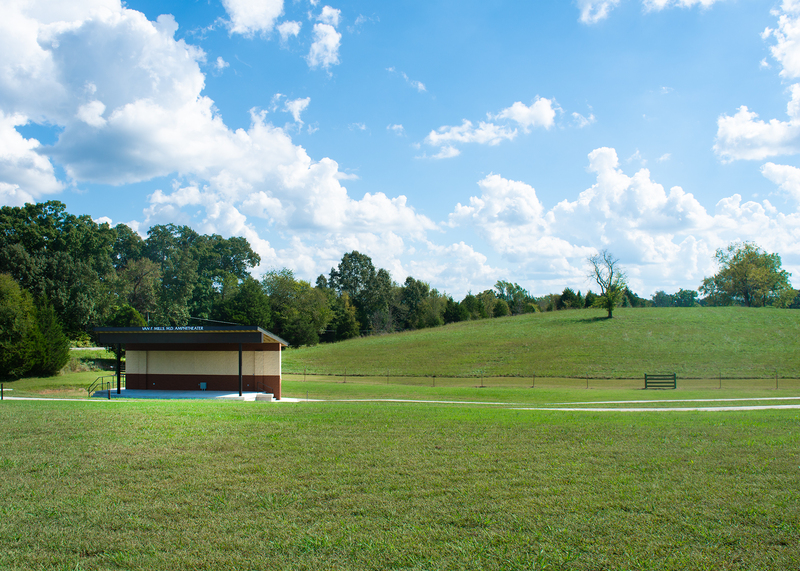 Amphitheater, which overlooks the Bibb farm. The center also has recently been awarded a grant from the state Local Parks and Recreation Fund to complete the walking trail, pavilions and outdoor bathrooms. Opportunities like these might not exist if it not for generations of families like the Bibbs believing in the place they’ve called home for so long.